How do I change the administrator password on my router? 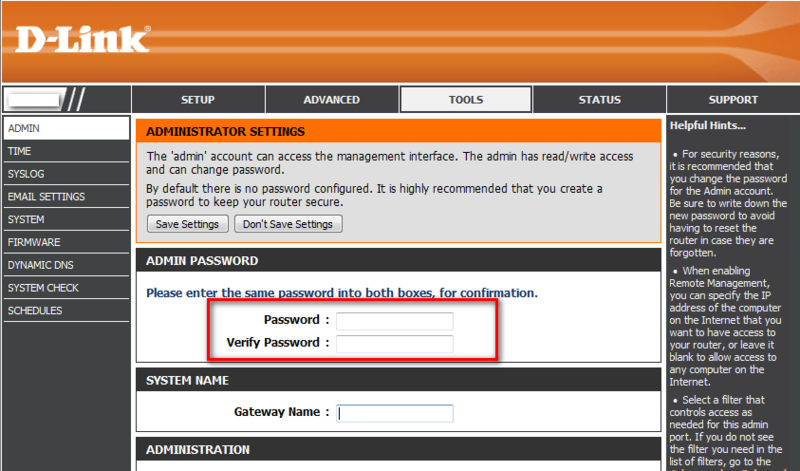 Step 2: The default username is Admin and the password is to be left blank. Click Login. Step 3: Click Tools tab and then click Admin from the menu on the left-hand side. Step 4: To change the Administrator password, enter a new password in the Password field. Verify the password again in the Verify Password field. Step 5: Click Save Settings to save the current configuration.